Most nonprofit organizations owe their success to the efforts of volunteers. These individuals love to help others, improve their communities and create positive change around them. Without their sweat equity, countless nonprofits would have to close the doors for good. Nonprofits thank their volunteers in many great ways. Traditionally, organizations host thank you dinners, holiday parties, and even galas to show their appreciation. 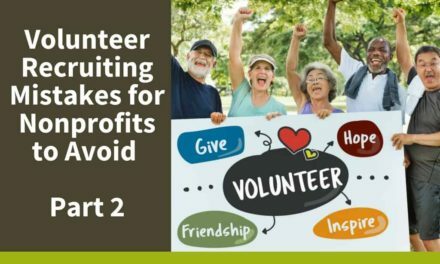 Many volunteers love these events, but they might not be right for every organization or group of volunteers. Especially when it comes to millennials and other younger volunteers, more casual – but no less thoughtful – ideas work just as well. Remember, most volunteers do what they do because they find it rewarding. They don’t need expensive gifts or big events. They just want to know that you appreciate their time and effort. 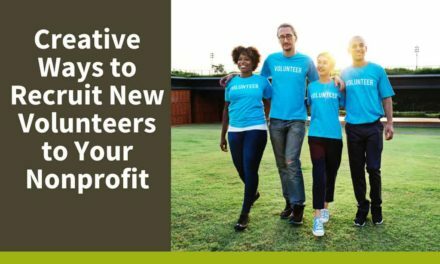 With that in mind, these creative ways to thank your nonprofit volunteers will show them how much their work means to your organization! Take tons of pictures at all your events and projects! Make these readily available for your volunteers to access. Many people love online photo albums, but consider giving out physical copies to your volunteers. A framed photograph of your volunteer hard at work or smiling in front of a completed project makes a great gift. You could even consider renting a photo booth for participants to use during events to add a fun photo break or celebratory selfie to a day of hard work. If your organization is active on social media, consider tagging your volunteers in any photos you share. Mention them by name in the comments, and tell the world how much you appreciate their hard work. 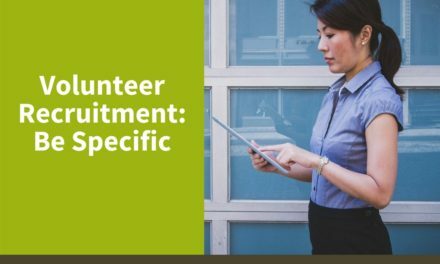 This creates a sense of belonging that your volunteers will love, especially millennials and younger volunteers. Stuffing envelopes, folding newsletters and answering phones turns tedious after so many hours. However, without these tasks, many big initiatives, important projects, and even day-to-day operations would fail. Let your volunteers know what goals they help achieve and that they’re not just pushing paper. They will take more pride in knowing they helped accomplish worthwhile objectives even if it meant completing mundane tasks. Nonprofit organizations can act on these ideas on a regular basis to express gratitude to their volunteers. These small acts of recognition make them feel special, appreciated and eager to continue helping. If done regularly, volunteers will know how important they are. Sometimes, an organization will want to do a little more, though. Reaching a milestone, achieving a big goal or pulling off an important event all merit a bigger celebration. In that case, consider saying thank you in some different ways. If your volunteers prefer casual to formal, and many younger volunteers do, they might opt for a more relaxed barbeque than a traditional appreciation dinner. Throw some food on the grill, bring some fun outdoor games to play and invite friends and family along, too! Make sure that you account for any dietary restrictions anyone might have, and bring lots of cold soda, juice, and water. You could even consider hosting this at a local park or beach for extra fun. Many people love bringing their dogs with them anywhere they can, so if the location is dog-friendly, even better! Many volunteers love talking about the projects they’ve worked on and how they helped. Consider giving them the opportunity to present a slideshow or talk. Perhaps they can offer insights into how the organization can improve, or maybe they will just share some great photos from the last event. Either way, they will feel like they have a voice in the organization, letting them know that you recognize their value. There’s no need to hold a fancy party. Instead, consider hosting a day or evening out for your volunteers. Where to go? Look no farther than your own community. Take them on a tour of a local museum’s latest exhibit. Drive to a nearby National or State Park for a day of hiking. Spend an afternoon playing laser-tag, mini-golfing or bowling. Give volunteers options and let them decide how to spend the day. A good time will surely follow. Volunteers make achieving goals a reality. Without them, nonprofit organizations can fall apart. Have you shown your volunteers how much you appreciate them? Take the time to thank them, individually and as a group, for all their hard work. You can do this formally or casually, but showing appreciation helps keep your volunteers passionate and engaged. On a regular basis or as a special event, sharing your gratitude and showing you care will let volunteers know how big a role they play in your organization. 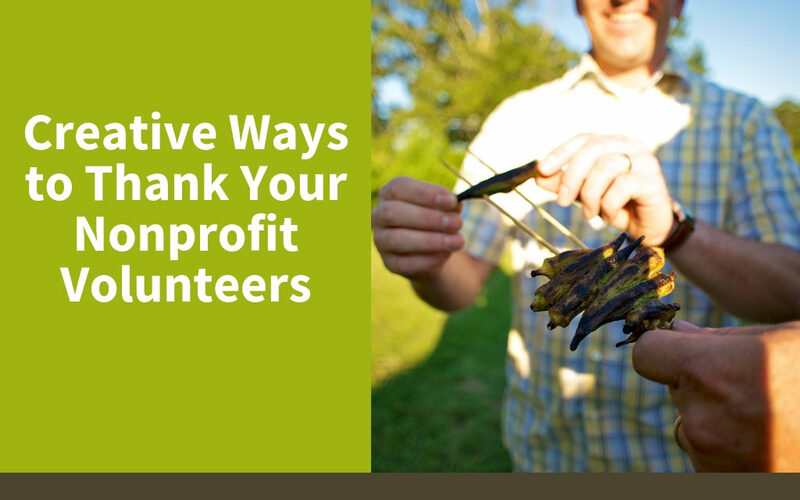 These creative ways to thank your nonprofit volunteers provide a starting point. Get to know your volunteers, and you’ll learn what they value and how you can best show them the appreciation they deserve.